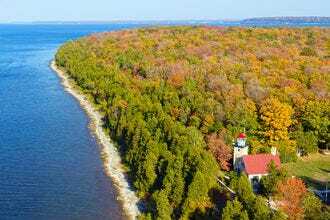 The kids are back in school, temperatures are starting to drop and Mother Nature's gearing up for her annual spectacle of fall color. 'Tis the season for leaf-peeping, so we asked our readers to vote for their favorite destinations. 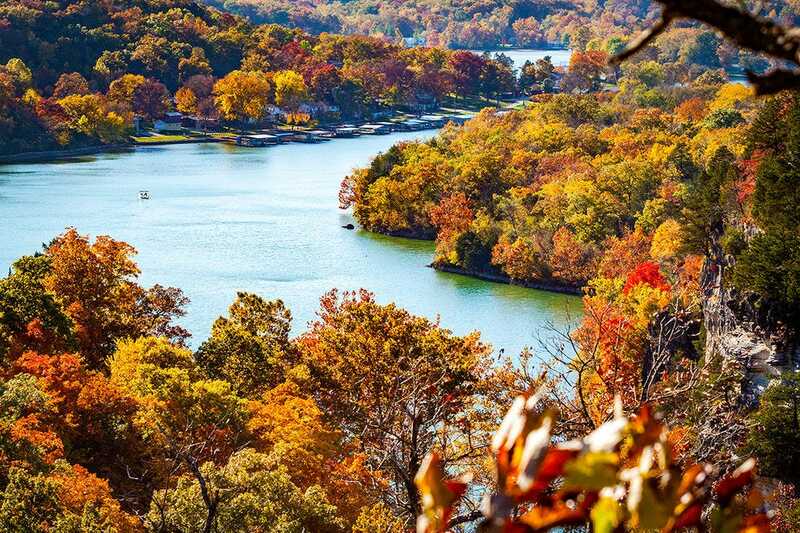 There are plenty of ways for leaf peepers to take in the fall display in and around the Lake of the Ozarks. Take a narrated scenic cruise on the lake, drive down Highway 65 or hike one of the hundreds of miles of trails in the area. The Pocono Mountains are ablaze with hues of red, orange and yellow come autumn, thanks to the area’s 127 species of indigenous trees, plants and shrubs. 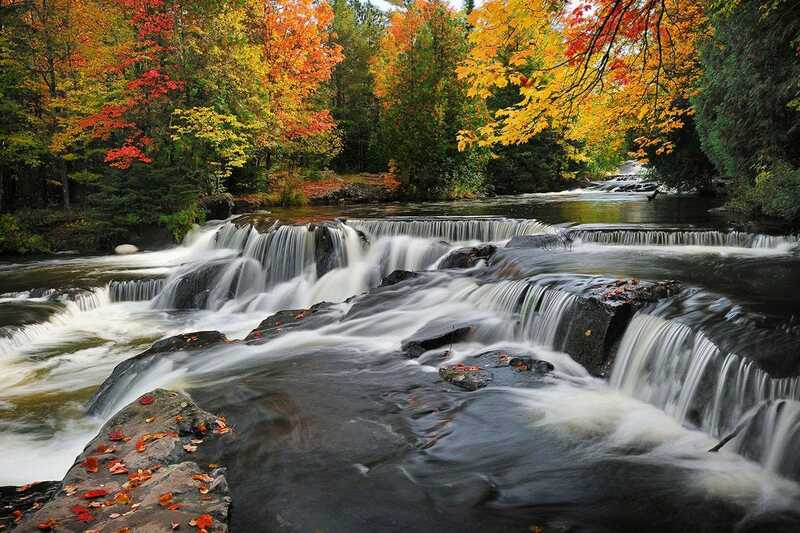 Leaf peepers can hop in the car for a scenic cruise along Route 507 near Lake Wallenpaupack or climb aboard a fall foliage train. 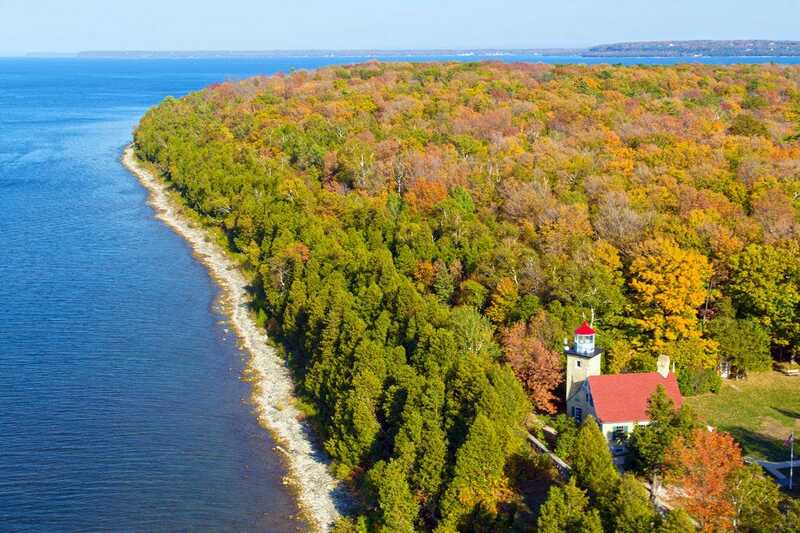 Wisconsin’s best fall foliage can often be found in Door County. Leaves reach their peak of color between late September and mid-October, when visitors from around the country come to drive its tree-lined roads or hike its trails. 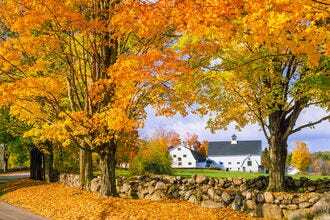 The annual display of fall color in the White Mountains of New Hampshire typically takes place each September and October, attracting millions of visitors from around the globe. One of the best places to take it all in is along the 34-mile Kancamagus Highway as it cuts through White Mountain National Forest. 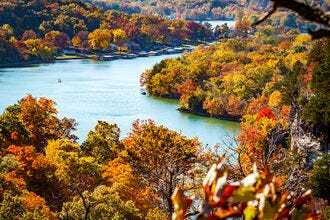 A variety of different tree species, including maple, hickory, sycamore and oak, paint the landscape of the Arkansas Ozarks in warm fall colors each September and October. This mountainous landscape attracts leaf peepers who want to get outdoors for an autumn hike in the mountains. 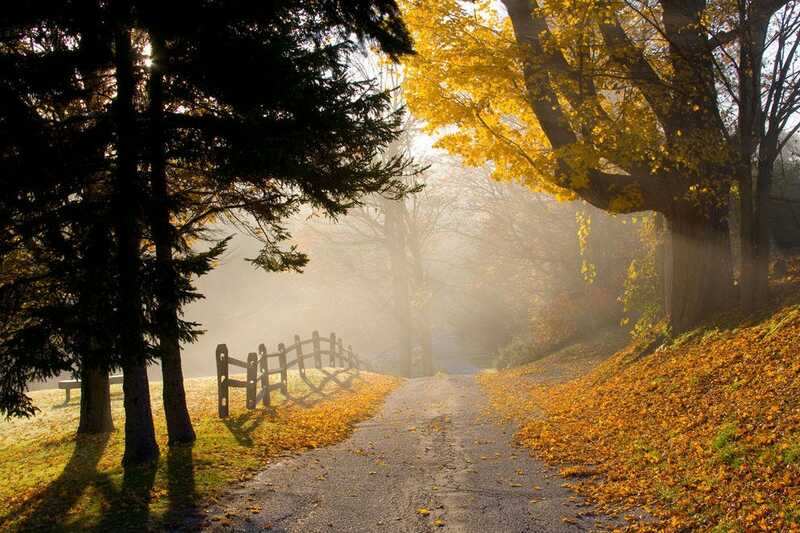 Visitors to the Berkshires in the autumn have numerous options for taking in the fall color. 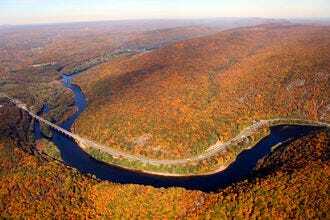 One popular option is the Mohawk Trail along Route 2, a road affording spectacular views of the fall leaves. 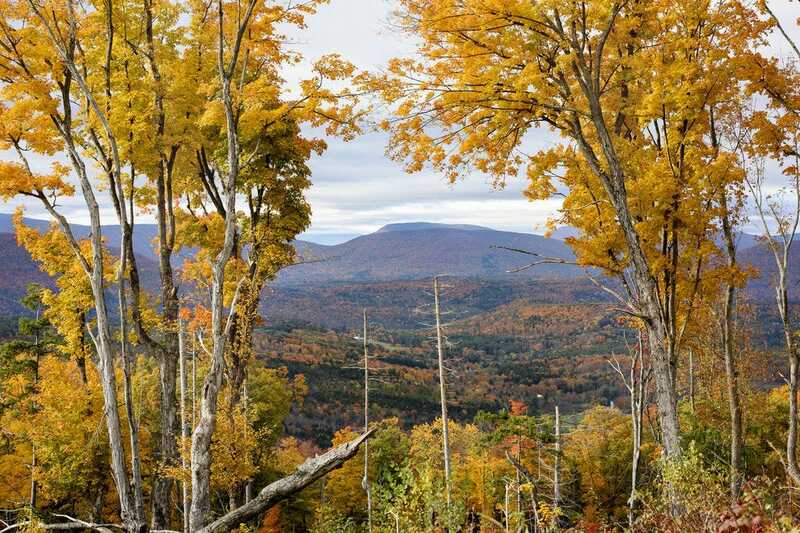 Another common leaf peeping trip is Route 8 from North Adams to Mount Greylock, the highest peak in the state. 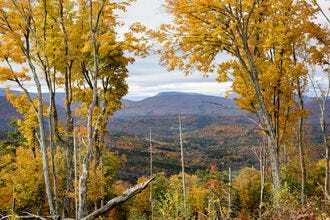 Autumn is one of the most popular seasons in the Catskills, thanks to the spectacular display of color painted across the region’s hilly terrain. 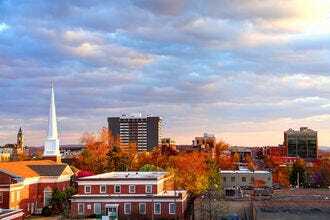 Visitors can soak up the views while zip lining at Hunter Mountain, sipping cider at a local orchard or attending one of many fall festivals. 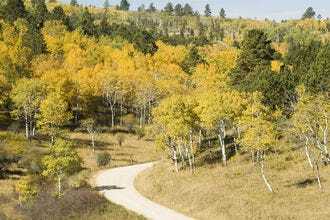 South Dakota might not immediately come to mind when you think of fall foliage, but the state’s Black Hills & Badlands region is a hidden gem when it comes to autumn color. Perhaps the best place in the state to enjoy it is along the Spearfish Canyon Scenic Byway. Taos, located in Northern New Mexico, sets the scene for a picturesque leaf-peeping road trip. 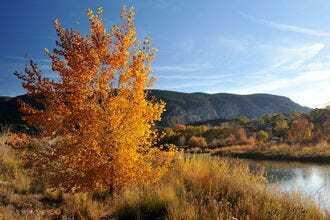 Trees lining the High Road to Taos put on a show come autumn, as do the national forests surrounding parts of the Enchanted Circle Scenic Byway. Congratulations to all these winning autumn destinations!